VueMinder can send reminders via text messages and voice phone calls. In order to do this, you'll need to enter your text messaging settings. If you select the option to send reminders using your mobile carrier, then you'll also need to have entered email settings on the previous step of the wizard. If you don't intend to use text message reminders, you can skip this step by clicking the Next button. You can also enter your text message settings using the SMS/Voice command from the Options menu. See the SMS/Voice Settings documentation for detailed information about the various input fields. 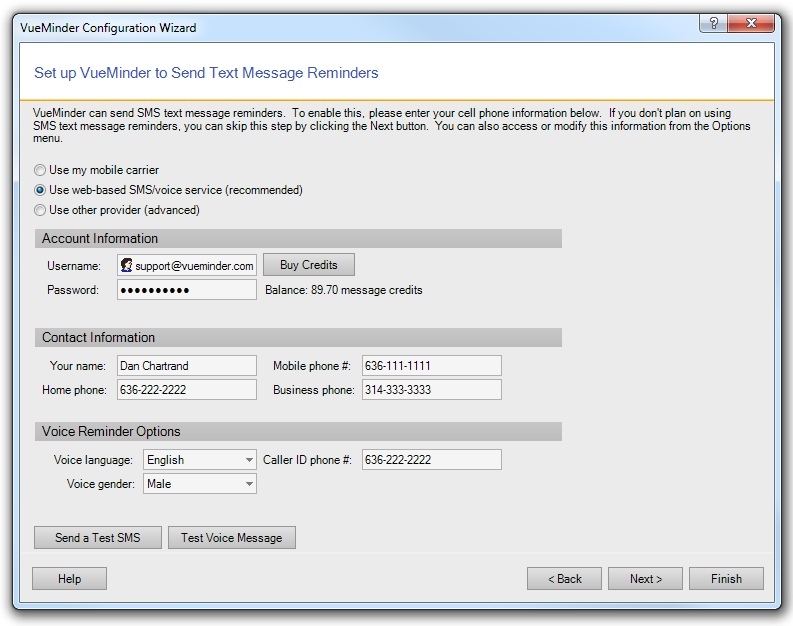 After you've verified your text messaging settings, click Next to continue to the next step of the Configuration Wizard.